The Promise Program in Takoma Park rewards you for taking care of yourself on a regular basis by offering significant discounts on a variety of wellness services. Whether you are coming to us because of a particular health issue, just need to relax, or want to stay healthy, we want to make it possible to get yourself to a state of balance and keep you there! We understand the physical and mental value of regular wellness treatments and for your commitment to your wellness, are passing on savings to you. Can't get in every month? Life happens, just give us 30 days notice and you can end your membership at any point. Our Promise Program comes with lots of perks such as 15% off of upgrades and other services such as community acupuncture and our infrared sauna, 10% off of boutique products, special gift card pricing, referral discounts, and more. For only $89 per month, you can choose a 60 Minute Massage, Level One Facial, acupuncture treatment, private yoga session, or a 60 Minute Thai Massage session. That's a $21 savings per service (normally $110)! Unlimited additional services are also at the Promise Program rate, saving you $21 per service. • $89 monthly autopay, no initiation fee, no minimum contract period, no early termination fee. Just give us 30 days notice if you need to cancel. • Discounted Wellness Spa Service upgrades available; difference may be applied at the time of service and one $89 credit may be applied per upgrade. • Specially priced gift cards and friends and family offers. • Gift your monthly credit to a new client of The Still Point (one credit per new client). • 15% off all services not included in The Promise Program. • 10% off boutique products (excludes consignment items). • Surprise savings, gifts, and events. We love our members and are so thankful for their loyalty! What are you waiting for… make a promise to yourself today! *$89 monthly credit must be redeemed for a Wellness Spa Service within 40 days of its issuance. **Some practitioners do not participate in The Promise Program; inquire within upon booking. Your card gets charged on the same date of every month. 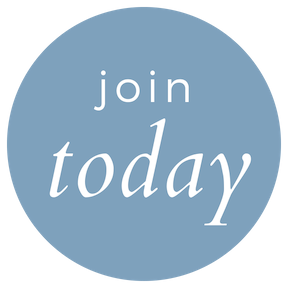 For example, if you signed up on May 24th, your first payment will be in-person on May 24th for $89 and you will continue to be charged $89 on the 24th of each month that you are a member. After that date each month, you will have a Promise Program credit on your account and can come in and redeem it any time within 40 days. Your card will continue to be charged unless you cancel your Promise Program (see below). WHEN DOES MY CARD GET CHARGED FOR THE AUTOPAY? 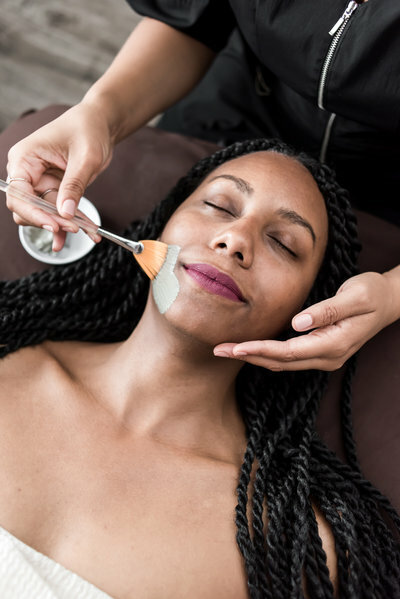 If you would like to upgrade your service to a higher level facial or 90 minute massage, just simply book the service of your choice at the Promise Program rate of 15% off. Your $89 credit will be applied towards your upgraded service and you pay the difference at the time of checkout. Only one credit may be used towards each service. WHAT IF I WANT TO UPGRADE MY SERVICE? Yes, your Promise Program auto-renews monthly until you tell us you want it to stop 30 days in advance. CAN I SHARE A CREDIT WITH A FAMILY MEMBER OR FRIEND? The Promise Program offers significant discounts for regular self care, so credits are good for 40 days. The intention is that you come in at least monthly, but this allows a week or so wiggle room. If monthly doesn't work for you, we do offer packages that have a more liberal expiration date on them. DOES MY CREDIT ROLL-OVER FROM MONTH TO MONTH? Yes! If you would like to come in more than once a month and take advantage of the Promise Program price, you simply pay for the additional service when you come in. Remember you always get program pricing (15%) for your additional services. CAN I COME IN FOR MORE THAN ONE DISCOUNTED SERVICE PER MONTH? No, you must use it towards a service normally priced $110 and up. However you do get 15% off off all other services (including waxing and community acupuncture) that aren’t a part of the Promise Program. CAN I USE MY CREDIT TOWARDS OTHER SERVICES VALUED AT LOWER THAN $110? Either send an e-mail to our Promise Program administrator that you would like to cancel and include your name, reason for cancellation, and when you would like to cancel, or just give us a call and let us know next time you are in. Please keep in mind that we require 30 days notice, so be sure to cancel 30 days before your payment date if you want to make it your last month. Payments due prior to the effective date will be charged as scheduled.